Nicknamed as Emerald City, Seattle is enclosed by the Cascades, Olympic Mountains and plenty of incredible places to see and explore. Home to the iconic Space Needle, Seattle is an appealing seaport city. It’s known for its significant technology companies including some of the huge names such as Microsoft and Amazon. Travelers on a leisure trip can explore Park Zoo, the Seattle Asian Art Museum, Discovery Park and much more. As the city is frequented by business travelers as well as leisure travelers, Seattle has an extensive selection of hotels for every need and budget. Whether cheap hotels in Seattle or five-star hotels in Seattle, you will find everything. 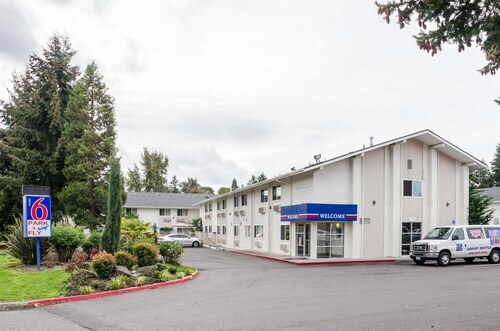 Getting the best available budget hotels Seattle can be quite tricky and we at MyFlightSearch have partnered with top domestic as well as international hotel chains, so you always get the affordable hotels in Seattle Washington available online. Browse our selection of boutique hotels Seattle, and save big on your trip! With spectacular views of the city and water, the Waterfront neighborhood is one of the most loved areas for the tourists to hang out. And booking a hotel in this chic area can be beneficial in many ways. The Seattle Great Wheel, the United States’ largest Ferris wheel is located here in the Seattle. There are many chic restaurants and bars to sit back and adore the views. Travelers coming to Seattle by cruise prefer to stay here. This neighborhood has a few high-end hotels which offer amazing services. However, they might be excessively pricey. Embellished with high-rise buildings which have some of the world’s giant companies, the Downtown area primarily hosts business travelers. Also, the upscale shopping venues, acclaimed restaurants and bars, and various attractions in this area draw many tourists. Anyone in the city can find excellent accommodation options in this neighborhood. Being the heart of Seattle, Downtown is very well connected to the rest of the city and is just 12 miles from the Seattle–Tacoma International Airport. Divided into upper and lower Queen Anne, Seattle Center & Queen Anne is another ideal neighborhood for tourists to book hotels in Seattle. Seattle center and the surrounding area in lower Queen Anne is a bustling commercial and features many reasonably priced hotels. Travelers can head to the upper Queen Anne section to find various unique shopping and dining venues. Located in the north-west of Downtown, this neighborhood is home to Space Needle, one of the Seattle’s most spectacular attractions. Average cost of a hotel room in Seattle? An average hotel room costs around $80 in Seattle. Which are the most popular Seattle neighborhoods to stay for Business Traveler? Belltown, Central Business District and Cascade are the most popular areas to stay for Business Traveler. How much do you tip a porter at a hotel in Seattle? $5-$10 depending on the type of service. Best Time to Book a Hotel in Seattle? Winter months of December, and spring and fall months of May and October respectively are the best months to book best hotels to stay in Seattle when it is easier to get cheap accommodation Seattle. Served by the Seattle-Tacoma International Airport, the airport is connected to the rest of the planet by major domestic and international airlines. Whether you are looking for cheap hotels in Seattle downtown area or Seattle airport hotels, there are a plenty of options to stay near the airport as well as other major areas. Summer is considered as the best season to visit Seattle. The weather us warm and the city hosts tons of fun activities and festivals. However, it is a bit difficult to get budget Seattle hotel deals in this season due to the massive rush. So, to avoid last minute hassles, it is better to book hotels well in advance to get affordable hotels in Seattle. The best time to enjoy Seattle but without spending a fortune is during the spring season (April-May) and the fall season, (September-October) when you can escape the summer crowd and enjoy cheap accommodation prices. You can still enjoy the outdoors and the best weather in fall and spring months. 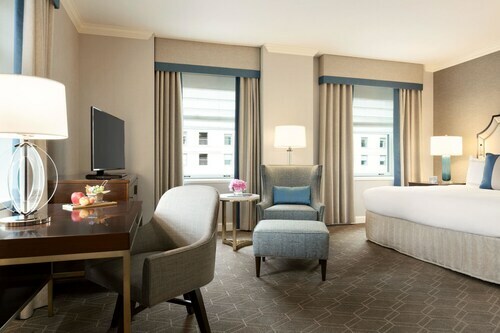 During these months, Apart from scoring Seattle luxury hotels at affordable rates, visitors can get incredible deals on last minute hotel deals in Seattle. Be a part of the grand celebration of JMA Seafair if you are visiting the city in August. JMA Seafair is a summer festival presenting a wide variety of events such as the half marathon, triathlon, and torchlight run leading up to many key citywide celebrations. Also, enjoy the parades, art, crafts, music, and food which are a part of this big party. Take your family to the fabulous 300 acre Seward Park comprising of a paved two and a half mile trail around south Lake Washington, along with the beach and picnic grounds. Enjoy an array of activities such as boat races, water skiing as well as baseball games and concerts performed in the amphitheater. Treat your family and kids with a tour of the famous Theo Chocolate Factory. Take a walk through the manufacturing area, get introduced to the chocolate makings with an impressive 20 minute presentation and shop lip-smacking chocolates with plenty of free samples along the way. The icon of Seattle, a 605-foot high tower, the Space Needle was built on the occasion of 1962 World Fair and has dominated the skyline of the city ever since. One can reach the UFO-like design at the top by elevators, and from 520 feet high observation deck visitors can witness the fantastic views of the city from atop. Residence to more than 1,000 species of animals including many endangered species, Woodland Park is a perfect place to visit for a fun-filled family vacation. Zoomazium, an interactive play space for kids, is a hit among family travelers. Located in Central Seattle, this century-old conservatory know for its tropical plants and trees are a must visit for all nature lovers. The opulent green park also houses the Seattle Asian Art Museum, exhibiting Chinese, South Asian and Southeast Asian arts. The park’s other attractions include a children’s playground, picnic ground, and sports facilities, making it a fantastic family attraction. Dominating Seattle’s skyline for decades, the 605-foot high icon of the city is one of the most prominent landmarks and tourist attraction in the city. Adorned with an impressive skyline, Downtown is the central business district, largest employment center, commercial hub, headquarter of numerous Fortune 500 companies. Pike Place Market is a bustling market with a wonderful mix of unique shops, antique dealers, many cafes and ethnic restaurants. Listed on the National Register of Historic Places, Pioneer Square is Seattle’s historic quarter and also the party zone with its several nightclubs and bars. This bustling shopping and entertainment district features arrays of shopping venues, eateries, cultural and entertainment venues. A Haven for shoppers in the city, if you are here to shop, don't miss a visit to Northgate Mall. Enjoy an afternoon browsing through the impressive collection of art. The museum collection includes everything from Modern to Native American art, Asian and African art.